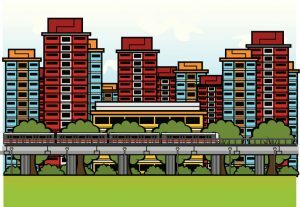 What if developers built lots of housing near transit but nobody came to either? It’s playing out a bit in Denver, where an estimated 29 percent of new housing is within a half-mile of rail stations, but not many people are riding those rails regularly. The problem? It might just be that people can’t afford the housing. More than 90 percent of people in market-rate housing own a car and 70 percent use those cars for most trips. In contrast, 66 percent of low-income housing residents use transit to get around. It seems to make sense: Build affordable housing near transit to make both things successful. Read the whole story here. YES, THAT makes GOOD SENSE!!! !